Helix Daylite lamps are ideal for bathrooms, kitchens and areas where detailed activities such as sewing, reading, repair or manufacture are undertaken. Good daylight output makes this lamp a perfect display enhancing lamp where daylight simulation is required combined with low energy consumption. This type of lamp is frequently used to enhance a working environment or area. Good colour retention ensures colours are seen in the best 'light'. They give an output colour temperature of 6400K. SAD is a type of winter depression which affects an estimated half a million people in the UK every winter. This is usually between September and April. One of the most common problems experienced during winter months by SAD sufferers is that of low light levels in the home. 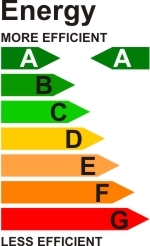 Typical household lighting offers a type of light which is very yellow in colour - referred to as Warm White (2700K). 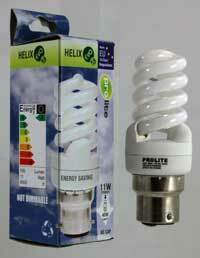 Through the introduction of the Pro-Lite "DAYLITE" range of lamps, this colour is replaced by a much crisper, whiter light, simulating Natural Daylight, or 6400K. Morning light seems to work best for 'night owls' and evening light for 'morning larks'. Average use is one or two hours a day and the maximum about four hours. Use daily in winter and during dull periods in the summer, beginning in the autumn, when the first symptoms appear. 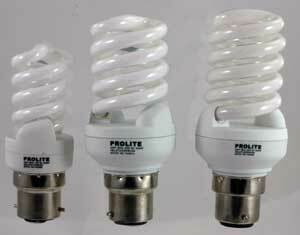 Note the Pro-Lite Daylite lamps are not dimmable.